This is an updated version of the best selling first edition, Ecological Census Techniques, with updating, some new chapters and authors. Almost all ecological and conservation work involves carrying out a census or survey. This practically focussed book describes how to plan a census, the practical details and shows with worked examples how to analyse the results. The first three chapters describe planning, sampling and the basic theory necessary for carrying out a census. In the subsequent chapters international experts describe the appropriate methods for counting plants, insects, fish, amphibians, reptiles, mammals and birds. 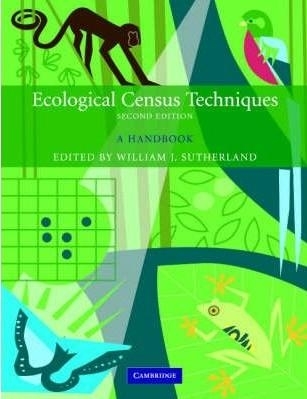 As many censuses also relate the results to environmental variability, there is a chapter explaining the main methods. Finally, there is a list of the most common mistakes encountered when carrying out a census.